A story of being a shut in, where moving through physical space is required to solve puzzles and move through virtual spaces. For the purpose of the demo, this feature was removed. 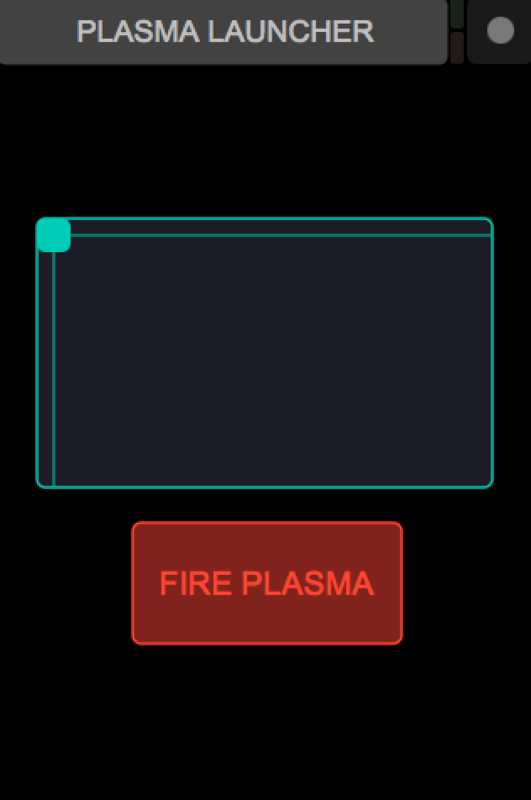 Touch the sides to move and press the button to interact. Exiting the room without solving it simply resets the room to its initial state. Lost is a procedurally generated 2D platformer. 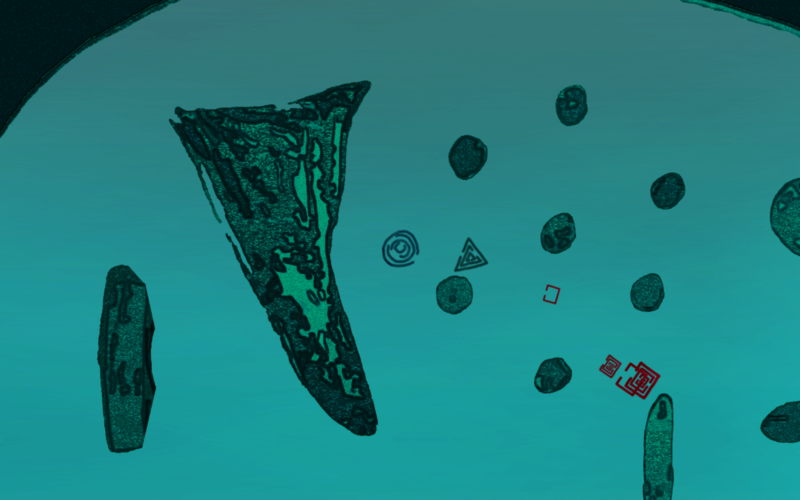 The player can explore a randomly generated world in all four directions, occasionally encountering non-player characters who will provide quests which the player can attempt to complete. However, there is a catch: platforms, non-player characters, and items are deleted once they leave the main camera view. With such an unstable, ever-changing world, can the player character ever complete the quests it is given? The game is meant to challenge the “quest” system common in many games by providing the player with quests that cannot be completed. It is very hard to give a non-player character the item they are asking for. And even if the player does manage to do this, the NPC receiving the item will act ungrateful toward the player despite the long toil it takes to deliver the desired item to the NPC. The player gets no reward for completing quests except for harsh words from the NPCs. 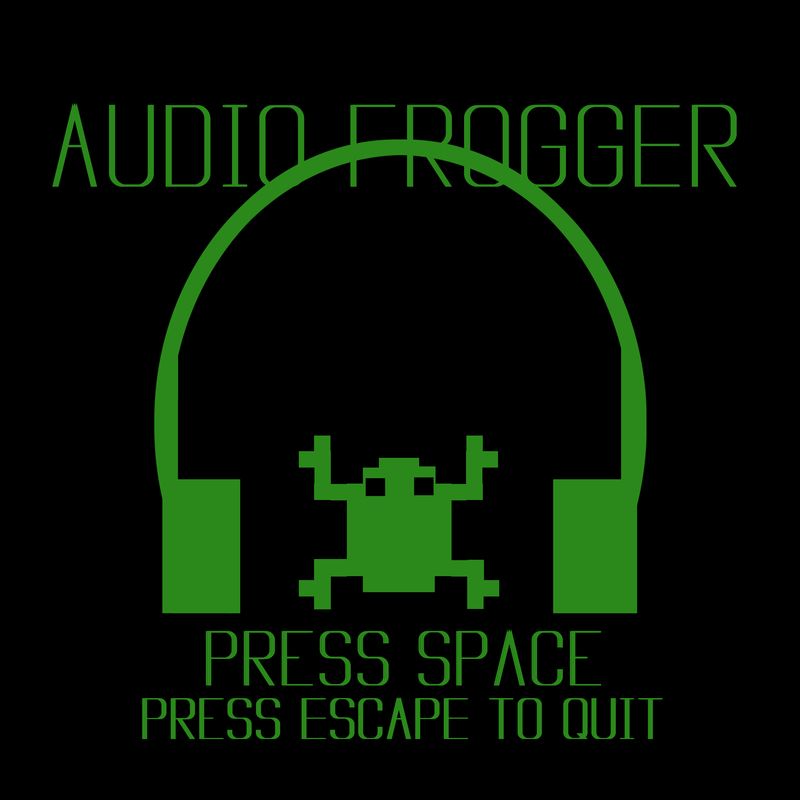 Yet if the player stops moving and refuses to complete any quests, a scribbly cloud of depression will form above the player’s head and cover the screen until the player moves again. These game mechanics are meant to all convey a sense of depression and a feeling of being trapped. The virtually endless nature of the game is meant to portray the player character’s inability to escape their situation. Whether they are completing endless, meaningless, worthless quests for the non player characters or standing still and letting the fog of depression cover everything, the player character is lost either way. The game is best played in larger window sizes (i.e. 1920 x 1080, or however large your computer can manage) because something in Unity’s text system is weird and the text doesn’t resize properly in smaller window sizes. Prototype for my Capstone project next semester; more to come soon! 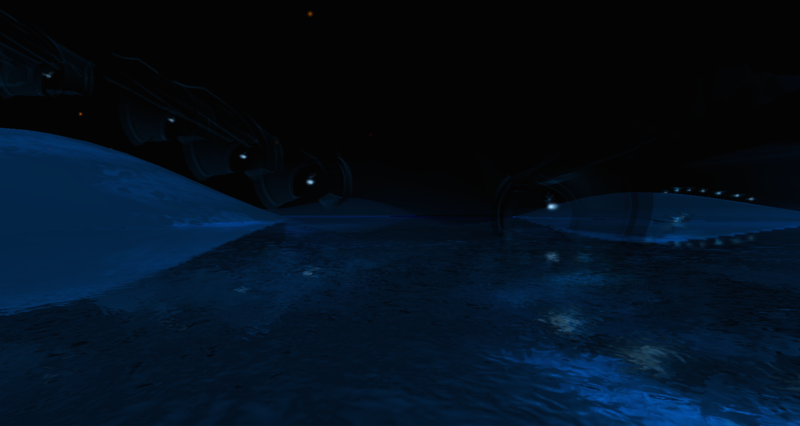 For now, wander around a quiet underwater environment and take a look at the creatures that you will soon be able to interact with. Included below is the standard computer version, not the Oculus version, so just open and run! They say some men just want to watch the world burn. In Bigger Ain’t Better, some men just want to watch the world burn… in their stomach. 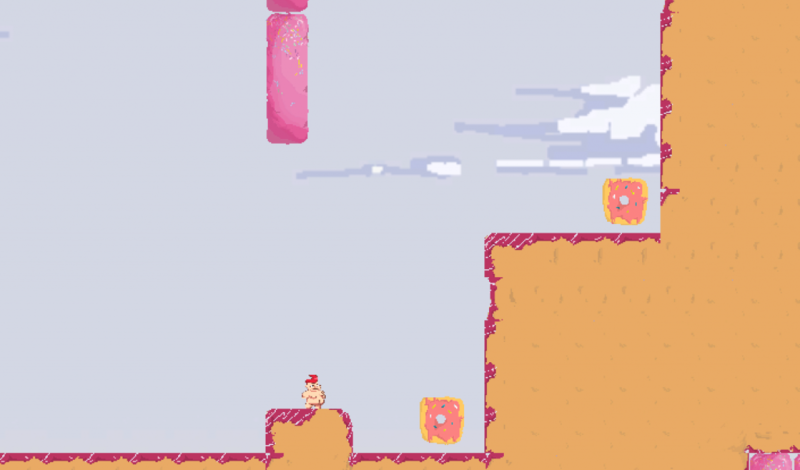 Bigger Ain’t Better is a 2D puzzle-platformer experimenting with size. Eat food to make your character bigger, and bigger, and bigger. Eat enough, and you’ll be big enough to even eat the previous level. Size introduces a whole new dimension to platforming puzzles, affecting both what’s possible and how you traverse a level. And be careful, because Bigger ain’t always Better. Growing up, I always loved to play casual dress-up games. Though I was a great fan of more mainstream titles such as Mario or Pokemon, the online dress up world still had me captivated for hours on end. I’m not sure why I liked them so much but I think it could have been due to my upbringing. As a daughter of a mostly rural indian family, my clothing choices were monitored very strictly. My Mom and Dad weren’t strict on a lot of stereotypically asian things (they let me major in art, for example) but due to social expectations of women in our culture (and virtually every culture), my clothes were constantly censored by my parents. Dress up games gave me an outlet where I can dress as sexily as I wanted without reprimand. (Try To) Dress Up” is a game than basically acts like the dress up games I loved growing up but simulates my real world experience with dressing up. The game is designed so that you have to get my parents permission before going out in what you’re wearing. Good luck with that- they’re pretty tough judges to please. A group of protesters are surrounded by riot police, who are pelting them with tear gas. The protesters, each controlled by a letter key on the keyboard, can pass around umbrellas to protect themselves from attacks. Arcade classic Robotron 2084 combines game mechanics with modern day Threes ripoff 2048 in Robotron 2048. Grid-based motion, shoot-em-up and survive, and combining elements for points are at the core of this game. What started as a simple pun, is still mostly just a simple pun, but nonetheless is fun to play. PonGnoP is a pong palindrome. 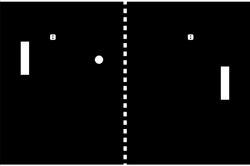 The idea was to start out with something completely basic and throw it out of whack to replace the original goal of Pong with that of cooperative exploration by messing with borders, scoreboard, etc. Social situations are not easy for everyone. To some, socialization is like an arduous trial in which they are being judged–and the harshest juror is themselves. 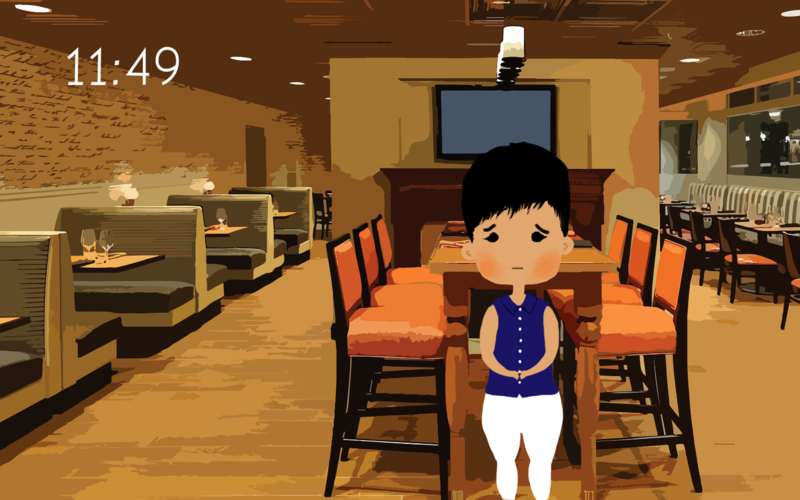 About Today is a simulation game that follows a girl as she goes through various social situations. As the girl interacts with another individual, the player is responsible for determining how she behaves and responds to the other person. 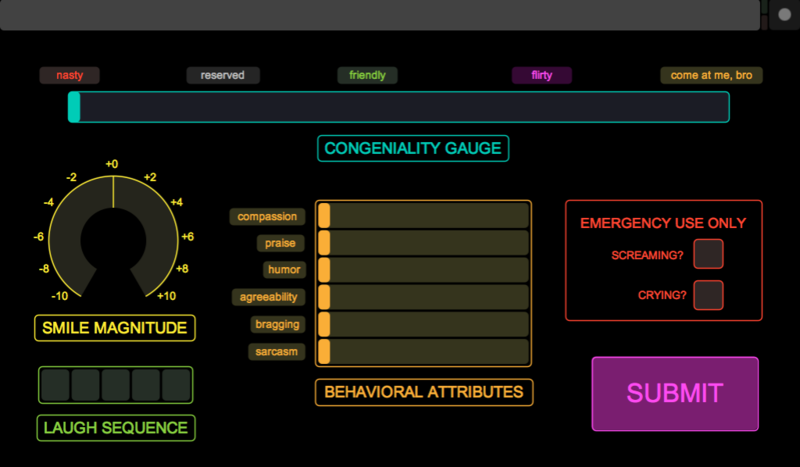 Responses are controlled on a TouchOSC interface containing various sliders and dials that adjust an array of behavioral characteristics, such as ‘friendliness’, ‘sarcasm’, and ‘compassion’. However, as with real life, there is a limit to how much time the player can spend to make decisions for the girl. If all the controls are adjusted to the levels appropriate for the social situation within the time limit, the girl would (ideally) go home feeling refreshed and self-assured. Otherwise, she would sulk and mull over what she could have said or done. 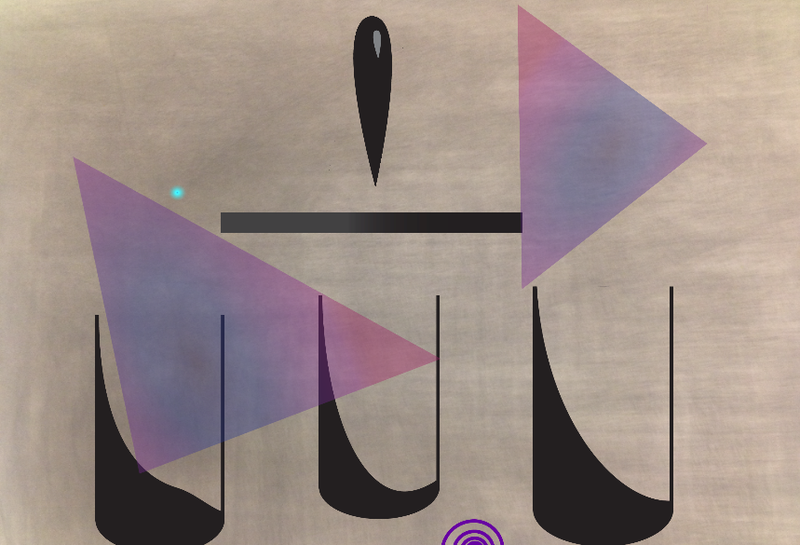 Overall, the game explores the notions of decision and indecision. It reflects upon the human construct of regret and how the act of redoing something may not always put a person’s troubled mind at rest. For that reason, there are no real ‘winning’ or ‘losing’ conditions for the game–the girl becomes lost in a tiresome cycle of ‘doing’ and ‘redoing’ while constantly realizing that there is something she ‘could have done’. This implies that the winning state is for the player to define–whether an ending is ‘good’ or ‘bad’ ultimately depends upon whether the player is able to come to terms with the mistakes they’ve made. The Staring at Computers Acting Class is a performative two way game. It is intended to both be played and be watched being played in equal parts. The player of the game attempts to do well in the “acting class” by matching short facial expressions that they are prompted with. 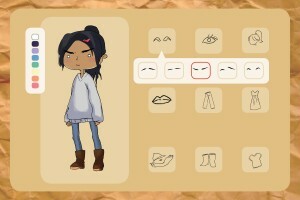 The game uses facial detection to score them based on how well they match each expression. By moving their face and by allowing the light from the computer to reflect off their face, the player is performing in a larger story that only the audience can hear, but they cannot. The audience member hears a short passage from Phillip Lopate’s essay Films as Spiritual Life as the player’s face is illuminated and contorted in sync with the story. 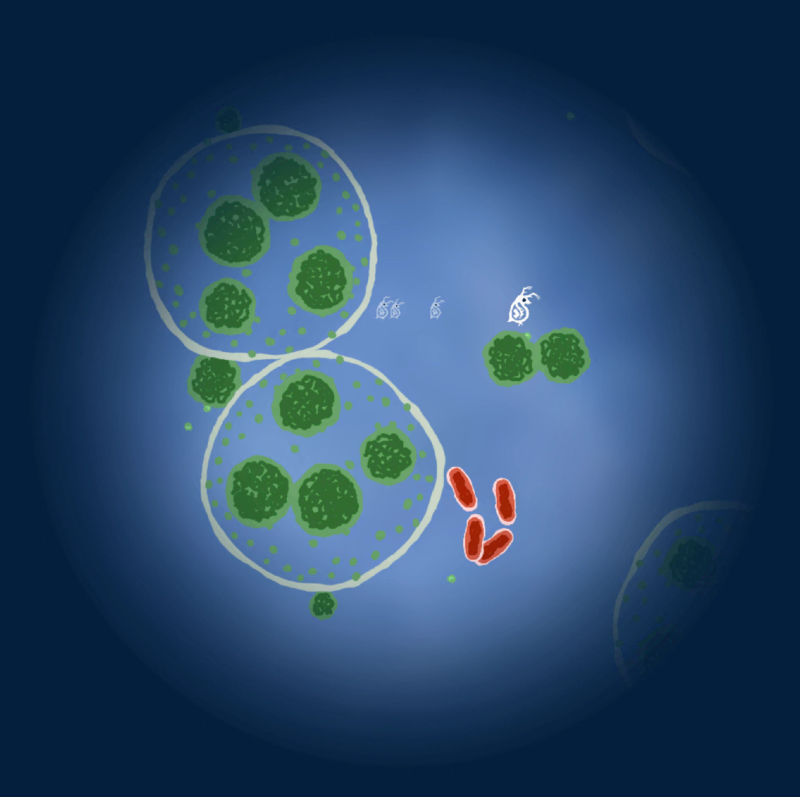 In this game, you play as a tiny, aquatic crustacean known as Daphnia. Using the arrow keys, you can explore the environment, eating tiny green algae in order to grow and maintain your energy. If you eat enough, you can produce some cute offspring that will follow you around and also try to eat and grow. Watch out though; there’s a persistent red bacteria that will prey on you and your family. Luckily, there is another friendly crustacean that can ward off the bacteria and shorten its chain. If you happen to die by malnourishment or predation, your oldest child becomes the new Player One. Through this game, learn to live the frenetic life of the humble Daphnia. Stasis is a game which explores the walking home controversy which has swept the internet in recent months. 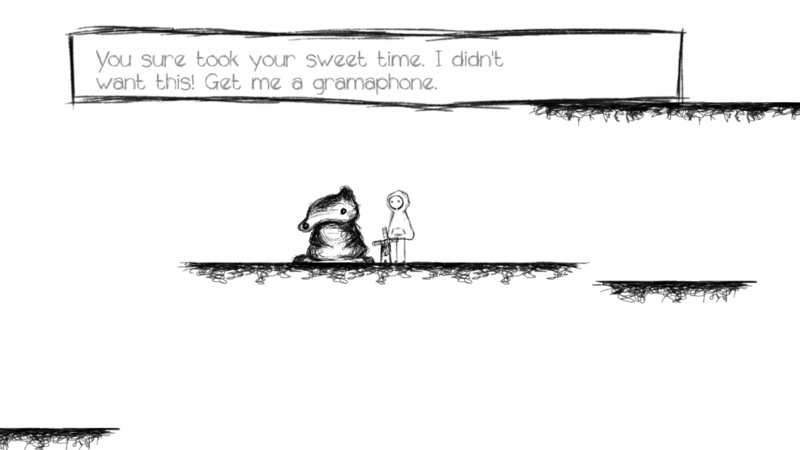 The game illustrates another perspective, walking home in the dark, that raises similar issues of gender, catcalling, and most importantly safety. 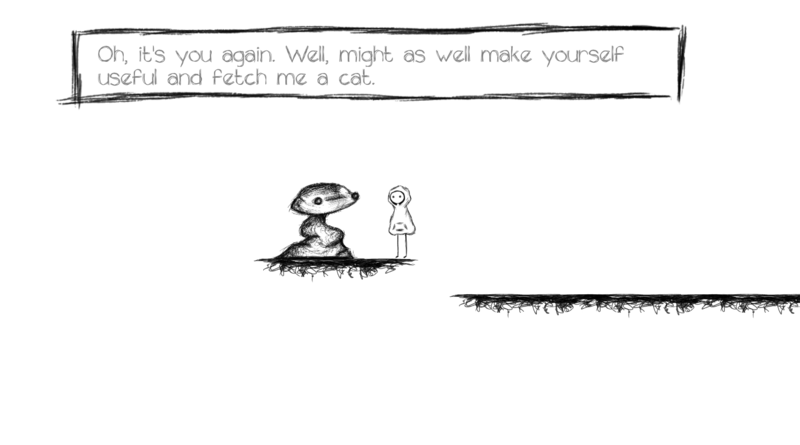 The game allows you to play the role of a woman while having to fend off unwanted advances. There is often times no telling what level of interaction can either stop the behavior or encourage more harassment or even violence so the woman remains a silent protagonist throughout the game from beginning until the end when she arrives home. It is up to you, as the gamer and subsequent godly entity, to ensure that she gets home safe and is hit with the minimum about of harassment as possible. 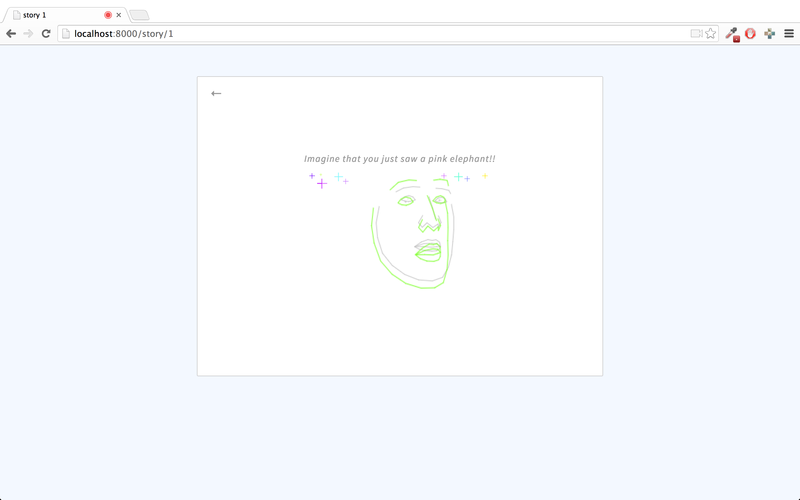 For my final project, I am interested in making a game about personal insecurity and social anxiety. 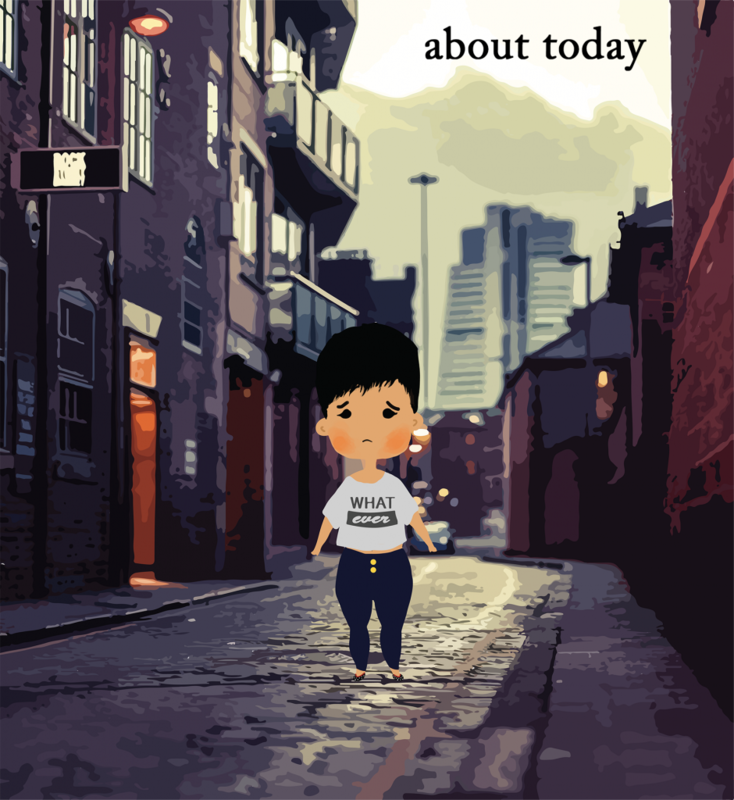 About Today is a simulation game that follows a girl as she goes through various social situations. As the girl interacts with another individual, the player is responsible for determining how she behaves and responds to the other person. Responses are controlled on a TouchOSC interface containing various sliders and dials that adjust an array of behavioral characteristics, such as ‘friendliness’, ‘sarcasm’, ‘compassion’, and ‘wit’. However, the player must be able to react quickly to each scenario as there is a time limit for how long they can take to adjust the controls. At the end of the day, she would have a conversation with her father about the day’s events. If all the controls are adjusted to the levels appropriate for the social situation within the time limit, the girl would go home feeling refreshed and self-assured. Otherwise, she would sulk and mull over what she could have said or done. This project is very personal to me as it draws from my own insecurities and is modeled after the way I reflect on my previous actions. I hope that those who play this will either consider the game relatable or find solicitude for those with social anxiety. 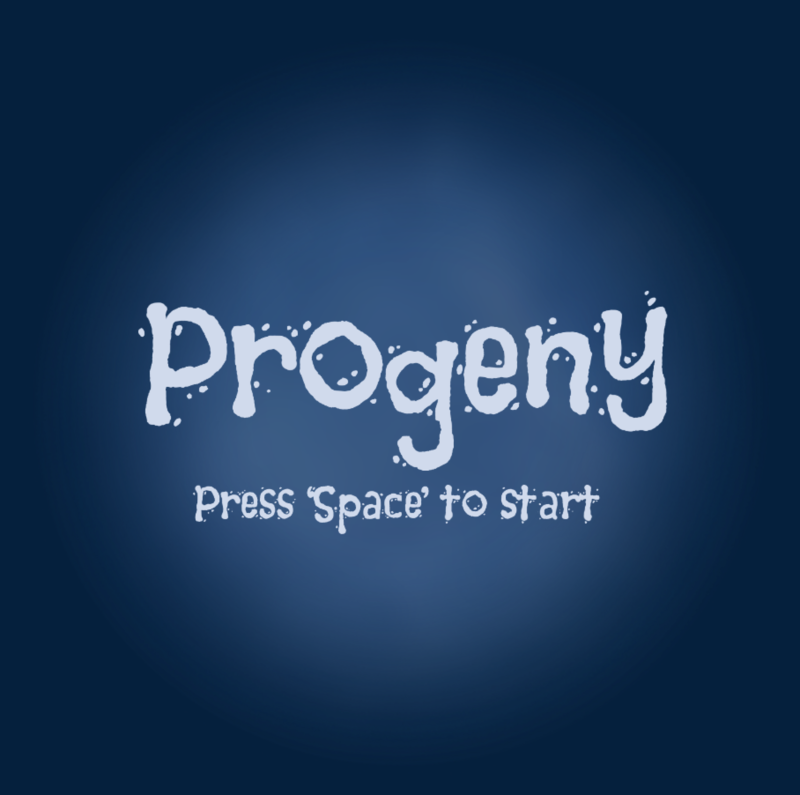 The iconic life simulation game in which the player controls virtual people and makes them perform actions that affect their mental/physical wellbeing. 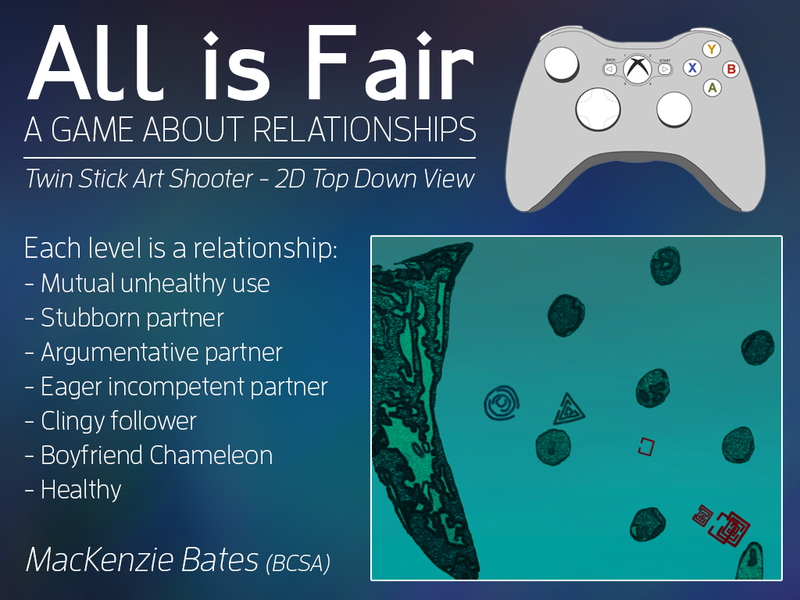 While in The Sims, players have some control over the characters’ behavior and actions, my game delves deeper into the finer aspects of social interaction. 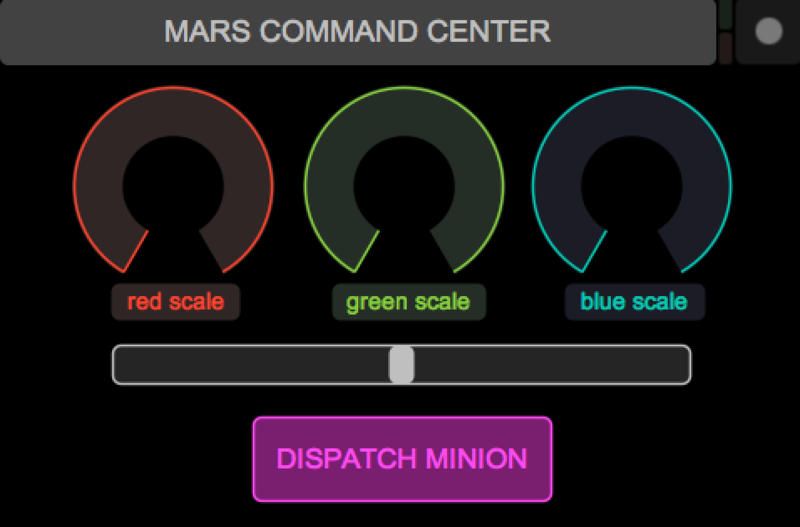 This is my TouchOSC-controlled game, Martians Marching*. Martians Marching is a three-player game, in which one person plays the role of an alien ship terrorizing Earth and the other two people are defenders of the planet. Aliens, with their sophisticated extraterrestrial technology, have the ability to sequence genomes at a rapid pace. For that reason, alien warlords are able to dispatch various attacker minions with special genetic makeup that makes them impervious to most elements. Fortunately for the humans, a powerful plasma cannon was developed by the military to combat genetically-engineered alien forces. However, due to its convoluted control system, the cannon must be operated by two individuals. Connect to the same Wifi network and configure the Host IP address. Set the outgoing port to 8000. Have the commander-interface.touchosc, human-hue-interface.touchosc, and alien-interface.touchosc layouts downloaded to each device. 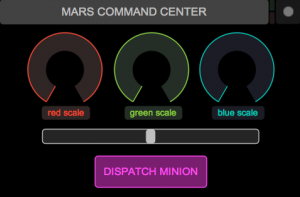 Alien player configures the color of the alien minion using the red, green, and blue dials on their interface. 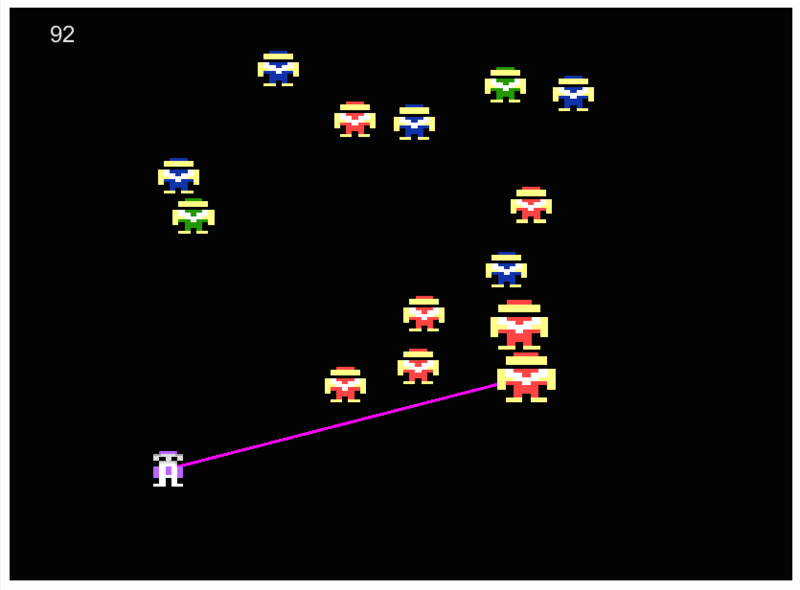 Alien player can use the gray slider to determine where on the bottom of the screen they would like their minion to land. Only two minions can be on screen at a time. 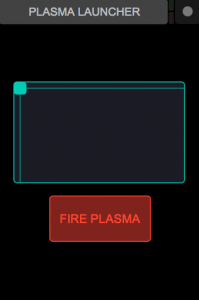 One human player (the commander) aims and shoots the plasma beams. The other human player configures the plasma beam so that the plasma color matches up with the color of the targeted alien. If an alien gets hit with a non-matching color, they become empowered and fall faster. Earth gets points for destroying aliens. Mars gets points for having aliens cross the bottom of the screen. CAN THE EARTH BE SAVED??? *Please excuse the lame title; I couldn’t think of a better name. 2-20 Players race across a randomly generated map of obstacles. They play on one keyboard, jockeying for space. The background shifts quickly. Obstacles which match the color of the background disappear. If they “Flap” while on another player’s trail, they receive a boost to their speed for a short time. The first player to reach the finish line wins! 1) It’s slow. Not kinetic enough to be comparable to the fun of mariokart. 2) It’s Random. The one-button flap right now feels like you don’t have control. 3) Random Maps are lame. 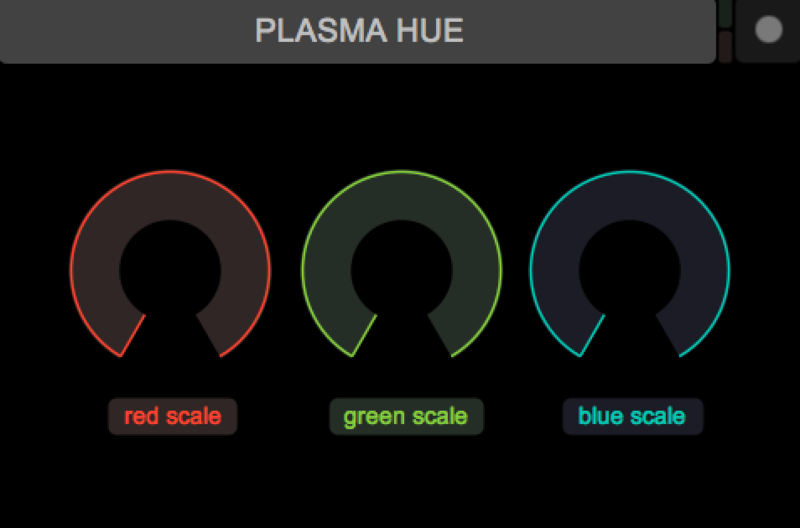 4) The color shifting isn’t obvious and maybe isn’t fun. 5) The game isn’t very fun. // So in the next month I would like to fix those things. 1) Change movement. Give each bird their own forward flying force, and make the “flap” more of a “steer” up and down. 2) Add velocity, zoom out on the map, and make it feel more “fast”. Re: what Ben Esposito said about Wipeout and faking speed. 4) Maybe possibly bring back the permadeath. But this doesn’t seem like more fun to me. HOW DO I GET FUN?? My idea for a game is a play off of the popular dress-up game for casual gamers. However, This game will be slightly like the Art Game in that you have to have your parents’ critique and approval before going out in the clothes you’ve chosen. The clothes you’ve chosen also give you merits such as ‘street creed,’ ‘coolness,’ ’sluttiness.’ These factors will go up and down corresponding to how our society would view these dress choices. I mainly want to make this game because when I was younger (basically up till right before I came to college). I really enjoyed playing dress-up games online because I could dress the character up in anything I wanted without guilt or pressure from societal judgment and pressure form my parents. 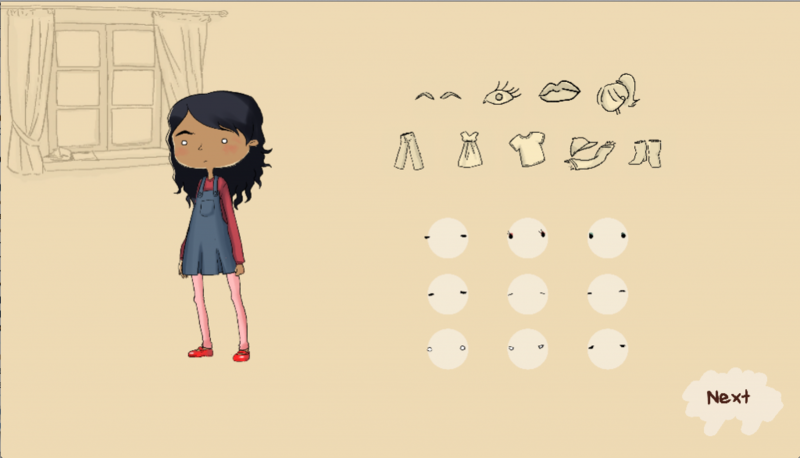 I hope this game, masked as a simple game about finding a combination of clothing you and your parents like, will shed light or question a larger societal problem that tells people what they can wear and how based on social norms, religion, etc. The parents’ preferences will be heavily based on my own parents’ preferences.